We often read that it is important to bring new kittens and cats or puppies and dogs in for a veterinary check-up right away, sometimes before we even bring them home. Unfortunately, most of those tips don’t explain why. If you have adopted a brand new pet, whether it is very young or already an adult, there are things that you don’t know about that pet that can impact the health of you, your family and any other pets that are currently living in your home. Veterinary care in Massachusetts can provide your pet with immunizations, treatments, preventive services and basic health care, such as tests for parasites in cats or heartworm treatment for dogs. A regular check-up at your trusted Dartmouth vet hospital can also provide you with a baseline for your pet’s health that can be referred to at future appointments. Whether you adopted your new pet from a shelter, family friend or another veterinary care facility, it is important to get a second opinion from your own veterinarian. Some illnesses or issues could have been missed or, in the case of puppy mills and bad breeder situations, hidden. Your veterinary check-up will include a thorough exam to include any underlying medical issues, such as diseases, infections or physical abnormalities. Tests can be run to ensure that there aren’t any other problems lurking under the surface, such as FIV or FeLV in cats and Parvo in dogs. It is important to note that some conditions may not be obvious in puppies, kittens or other young animals until they reach a certain age. This is why many good breeders will not adopt pets out too early or may require new pet owners to seek veterinary care in Massachusetts by a certain age. Ask questions about any veterinary check-ups and treatments received prior to adoption and read the “fine print” in any contracts to determine what the breeder or shelter could be held liable for if there is something wrong with your new pet. Each situation is different, so you should never assume. You don’t want to bring your new pet home just to find out a few days later that you also brought parasites along for the ride. Some parasites can cross over to humans or affect other types of pets inside your home. Fleas, ticks and a variety of worms can be dangerous. When you bring your new pet in for a veterinary check-up at your local Dartmouth vet hospital, they will perform a check for external and internal parasites. Once your pet has been given a clean bill of health, preventive treatments can be given, such as flea and tick preventives for cats or heartworm treatment for dogs, depending on their level of risk. 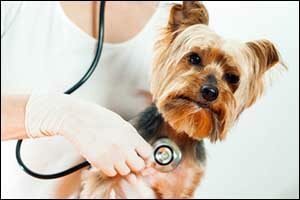 Another type of preventive care that is important for all pets is vaccines. Vaccinations can prevent a lot of very dangerous diseases from affecting your pet. Whether your cat is an indoor or outdoor cat, or whether your dog comes in contact with other dogs at the local dog park or not, there are things that they can “catch” from other cats and dogs that could be potentially fatal. Speak with your veterinarian about recommendations for vaccinations and veterinary care in Massachusetts. Some of the vaccinations that might be required in other parts of the country won’t be required here and there may be vaccinations required in the northeast that you won’t see as often in other regions. One of the best things that you can do for the future health and safety of your new pet is to have them spayed or neutered. Not only does this help to keep down numbers of an explosive pet population, but it also can help to lower the risk of breast cancer and prostate problems. It also eliminates issues such as spraying in male cats and other territorial issues. Speak with your veterinarian at your initial veterinary check-up about when the best time would be to schedule spaying and neutering for your pet to get the best results. In addition to providing all of these services at your first veterinary check-up, your local vet can also provide you with extra services, such as dental care for pets, micro-chipping and advice regarding basic care and feeding. Whether this is your first pet or if you have had pets all your life, there are always new ideas and information available that can help you to provide all of the care and nutrition your pet needs to get a healthy start. Give us a call at 508-996-3731 to schedule an appointment at Anchor Animal Hospital or to learn more about the services that we provide. From an initial veterinary check-up to ongoing care, vaccines and heartworm treatment for dogs, we provide a full spectrum of veterinary care in Massachusetts for your new pet.